Pics available of the big girl yet? 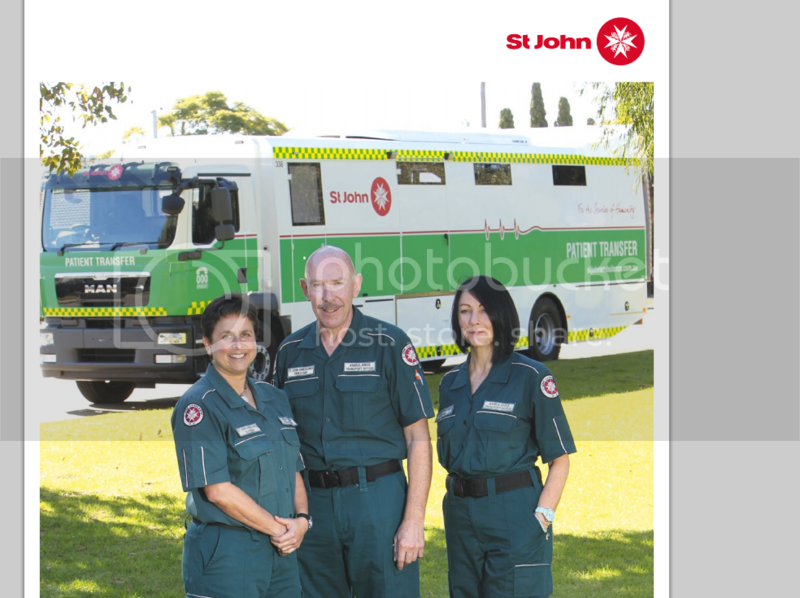 Any Ambos on the forum? My Radar / Laser detector often goes off when an oncoming Ambo approaches. Coincidence? Also, Metro and Regional Ambulances have ESA and ESB channels or just Metro? Hate to be that guy but im in the 6056 (Midland Area) and im wondering what the best frequencies are for the St John Ambos? None they have been digital encrypted for a while now. yorky wrote: None they have been digital encrypted for a while now. DFES, yeah sure that could happen same as any emergency service they are one of the last to go that way. Air band good luck with that, digital over distance is not exactly a great idea. For air band? Just my thoughts really imagine tens of thousand of aircraft that can't just swap a radio, then the tens of thousands of ground stations, navigation beacons etc. The low frequency AM transmissions are best for long range usability, not about interference. One main drawback of digital is if the signal is only partially complete, the whole message can be unreadable. With analogue you can have a poor quality transmission and still understand it. sorry in lame mans terms the same as a digital and analogue tv? so even if ts distorted you can still work out that its big bird of of seasme street where digital is more on and off? Yes that's a great comparison. yorky wrote: Yes that's a great comparison.